ONCE MORE WITH FEELING: Happy Solstice! In the northern hemisphere it is the shortest day of the year. I remember this day vividly as one of my Dad's favorite holidays. Today I was able to spend time with Nelson Garzon - the angel I recently blogged about and so many of you were so generous to donate toward his condition, hemangioma. His was more advanced, and began growing again in his late teens, threatening to take his eyesight and his mouth. 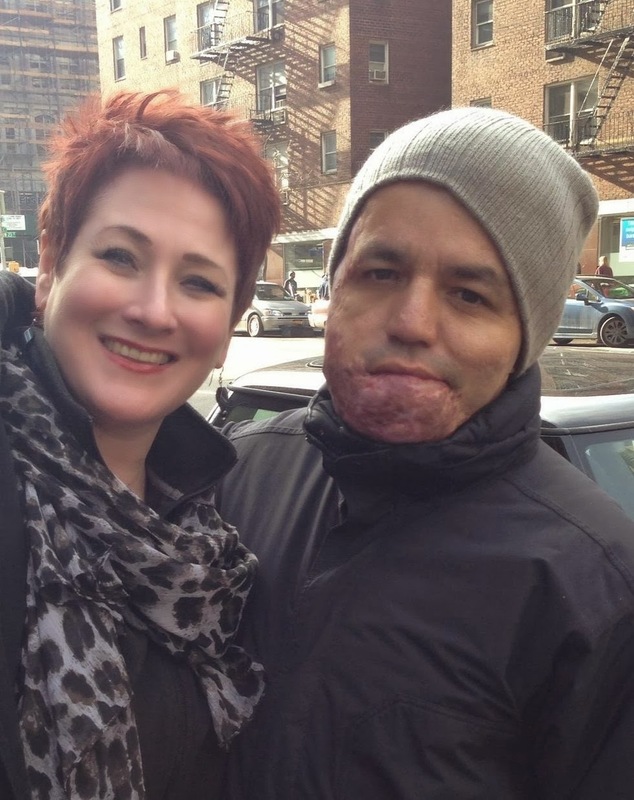 He was able to find surgeons to begin laser surgery to stop it from spreading, and from growing. It is working! Success has begun! Nelson is a writer and poet - and is writing his memoirs of his experiences in America, getting treatment for this condition, and the people he meets. He hopes he will meet a publisher who would be willing to publish it. I would think a Spanish publishing company that could translate into English would be ideal. If you are able to donate $10 or more, and leave a message via paypal with your mailing address, I will send you a copy of my CD "Taking My Turn" as my thanks for your donation! I think that having an opportunity to share your gifts with Nelson today, on this Solstice, is so fitting and special. I wish you nothing but wonderful possibilities, an opportunity to discover the stillness to reflect on your achievements, and the chance to explore more of what you dream of, pursue and work toward. Work, dream, discover, share, love, laugh, SING!!!! Happy Solstice!!! Imagine, have courage, and DO IT!